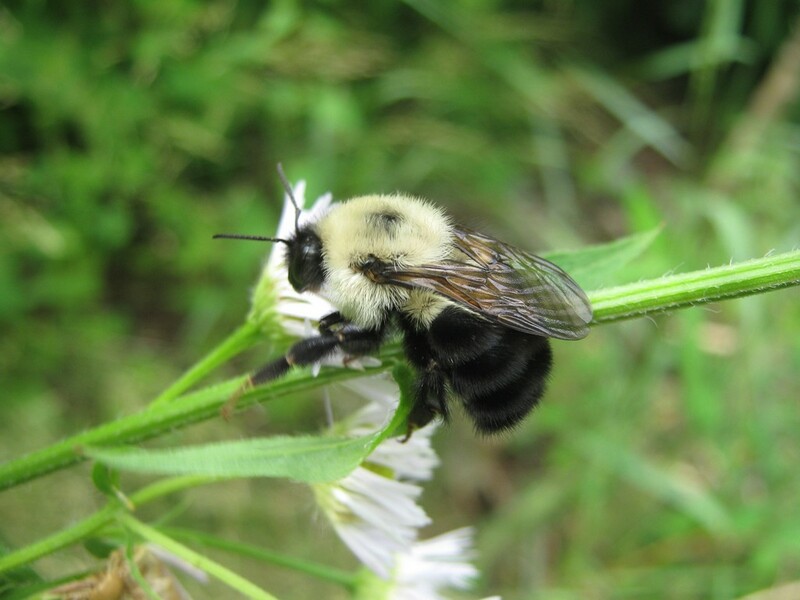 After spending a little time every day of National Pollinator Week chasing bees, I finally caught some nice pictures of a Common Eastern bumblebee. It always amuses me to see these big, fat bees landing on such small flowers as this daisy fleabane. These bees have mass! I also think the Latin name, Bombus impatiens, makes a lot of sense; they’re always so impatient to get on with it and hurry to the next flower. Thank you for your hard work, bees!